This post isn’t about cars. I’m sorry, it’s not. I could tell you about the generally horrible Chevy Captiva Sport I’ve been driving since my car got wrecked, but there’s nothing captivating or sporting about it. So, no, there’s another pressing matter. Papyrus. No, not papyrus the ancient Egyptian form of paper, nor Papyrus, the overly-expensive card shop in which the prices only make sense if they were actually printed on papyrus, but I’m talking about papyrus the font. That horrible, no good, God-awful, Windows 94 lookin’, granola-entrepreneur usin’, font that every “creative” with a small business has used to show off their individuality since 1982. That’s right folks, NINETEEN-EIGHTY TWO. You’ve seen papyrus. Probably even used it. Actually, I bet you walked by it this morning on the way to work and didn’t even notice it. “Closed today. Namaste,” a wrinkled sheet of purple printer paper with a tear where the dot-matrix ribbon was torn off reads. Or maybe it was in pale green on the totally landfill safe, triple-recycled coffee cup sleeve from Mocha Johnny’s you grabbed this morning. Because papyrus means eco-friendly. Hell, eco-friendly became a household saying probably DUE to papyrus’ herpes like effect on nu-hippies. Take a stroll through Trader Joes and I bet you’ll see papyrus’ ugly head somewhere on a bag of oat chips or kale blueberries. But the thing that really stings is when real companies use PAPYRUS AS A LOGO. 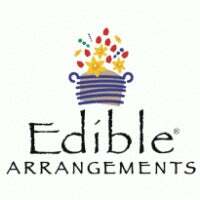 Take Edible Arrangements, for example. How could you do that to us? To your investors? To your employees? Let me be clear: if you see a sign or a banner written in papyrus by no means should you enter that facility or store. You should not patronize them or give them advice on how to run their company because they’ve chosen their path, and they chose papyrus. This choice probably occurred while sitting in a dark home office, staring at a cathode ray tube monitor jaundiced by dust, sadness, and age in Microsoft Paint Win98 edition. Eureka! Papyrus! My business plan is finished! Oscar Wilde once said that consistency is the last refuge of the unimaginative and papyrus is consistently just the most unimaginative choice for your logo/sign/world saving slogan. C’mon. You’re an entrepreneur, can’t you think up something better than “Autumn Wind Resort” written in papyrus?